2006 Launch 2.4GHz wireless control, gamepad. 2007 Developed 2.4GHz wireless audio speaker. 2008 Successful developed 2.4GHz wireless audio baby monitor. 2011 Launch 1st MFi Bluetooth helicopter, developed Bluetooth audio, and 868/915MHz SoC remote car. 2012 Start business to do Wi-Fi, Zigbee, etc. 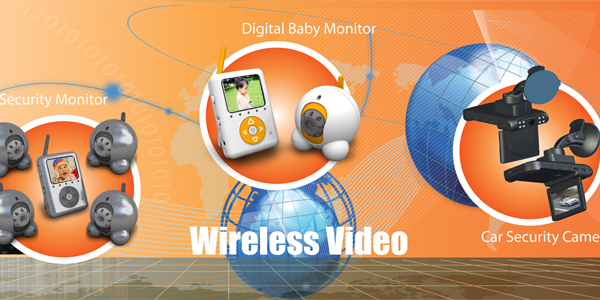 2013 Developing P2P Wifi CAM for baby monitor, NFC application, etc. 2014 Developing 2.4G chip / module, 2.4G Video transmission, Bluetooth audio, Bluetooth4.0, WiFi IP CAM, Wireless Charger. 2015 Developing Wifi security, IoT devices, Wifi aerial camera, Wifi dash camera, Wireless car back camera. 2016 Developing QR code SoC. 2018 2.4G FHSS HD Car Backup CAM, 2.4G FHSS HD Babymonitor, 2.4G FHSS HD Security Camera. 2019 2.4G FHSS HD Car Backup CAM, 2.4G FHSS HD Babymonitor, 2.4G FHSS HD Security Camera, Image recognition. Hardware – module design, RF layout, antenna matching, FCC, CE approval. Firmware – 2.4GHz FHSS, Bluetooth SPP/MFi, Zigbee. Production – module testing, production.